I cannot believe that Claire's three. I know everyone says it- but seriously, where does the time go? She's growing (& learning) so fast. She makes me laugh so hard every day. Claire loves rainbows now. We spend a lot of time gathering cd's and trying to reflect the light to make rainbows on the ceilings. We were reading a book last week and Claire asked me why there was no indigo in the rainbow. I think that she's 3 going on 10. 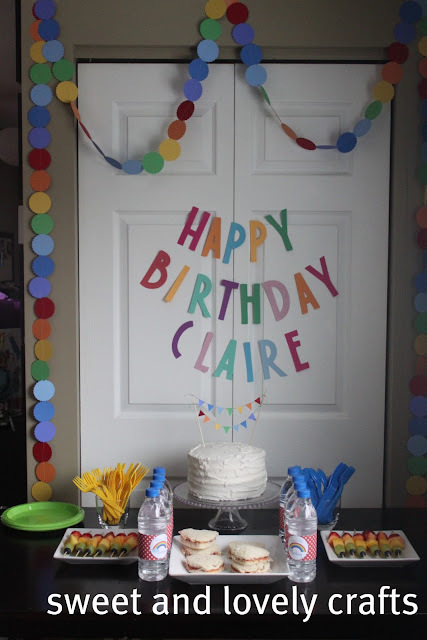 We just had a small party since Claire prefers smaller groups of people. But I am excited to have larger parties in the years to come because I had so many ideas that I wanted to use here, but couldn't justify making all of these rainbow foods for just a few people. The cake came out so well. I was so worried that something would go wrong with it. 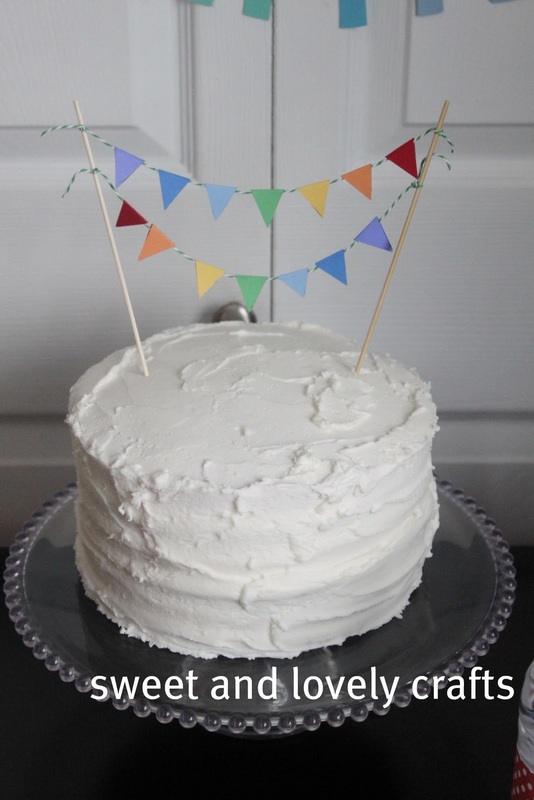 I used this cake recipe from Whisk Kid. I used my own butter cream icing recipe though. I'm not going to lie- it took a lot of icing. If I could offer one bit of advice to anyone who wants to make this cake- make sure your layers look very very even before you put them into the oven. I thought that I had smoothed out my layers enough, but my purple layer was a little wonky, which kind of threw me off a bit. Claire just loved the inside of the cake. Sometimes when you ask her what the favorite part of her party was she will tell you the rainbow cake- the other times she'll tell you it was playing with her new toys. 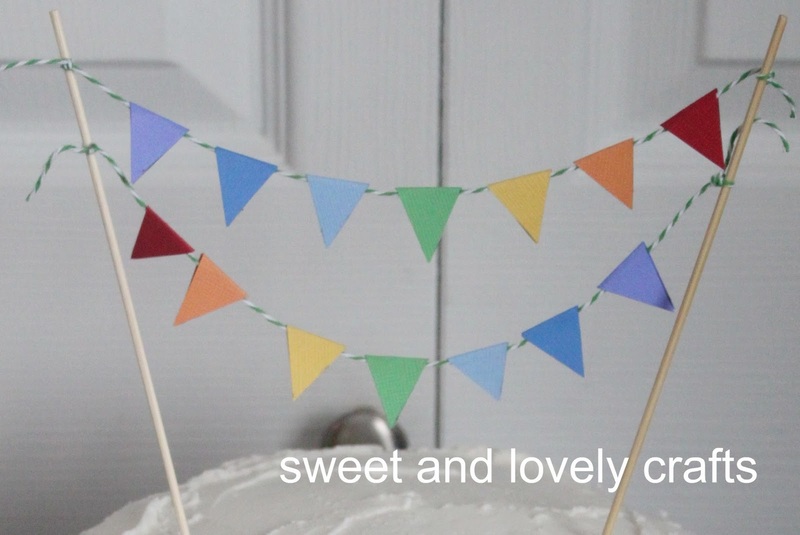 I just made this little rainbow coloured bunting for the top of the cake to add a little colour to it before we cut it. I cut out my triangles out of cardstock and glued them onto my awesome Twinery twine. 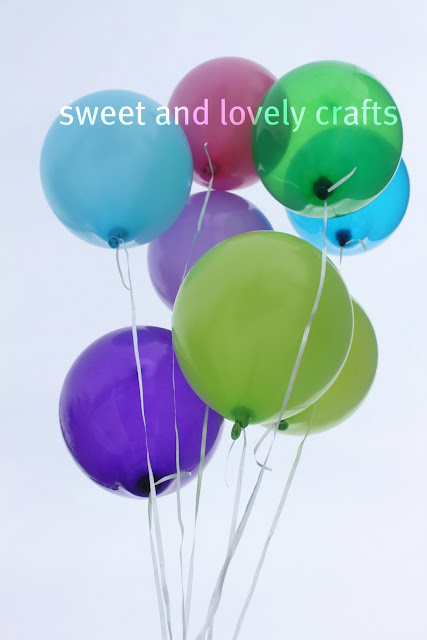 Then I just tied them to some bamboo skewers and stuck them into the cake. These are our rainbow fruit kabobs. Of course, these are missing a few colours since there isn't a purple or indigo coloured fruit (that I could think of anyway)! I used my cricut to cut out these letters. Claire 'helped' me. And for good measure, a new pic of Simon. My sister pointed out that the kids have the same expression in these pics. I made this shirt for Simon using this tutorial here. 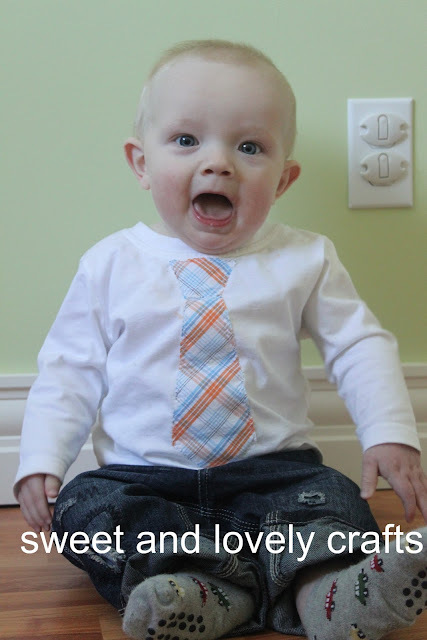 It's so cute, I need to make him more shirts in different colours. That cake looks amazing! Yum! Great job! LOve this! Very pretty and all cute, especially those little ones! Well little ones turning into big ones! This looks fantastic! You certainly put alot of thought and effort into the planning. Great job! 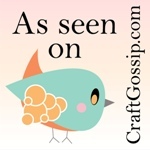 This post was so good, it was worth reading twice =) Keep it up - supermom! Looks like a lot of fun! I especially love the cake. loved the cake topper! What a colorful party! Everything is amazing! 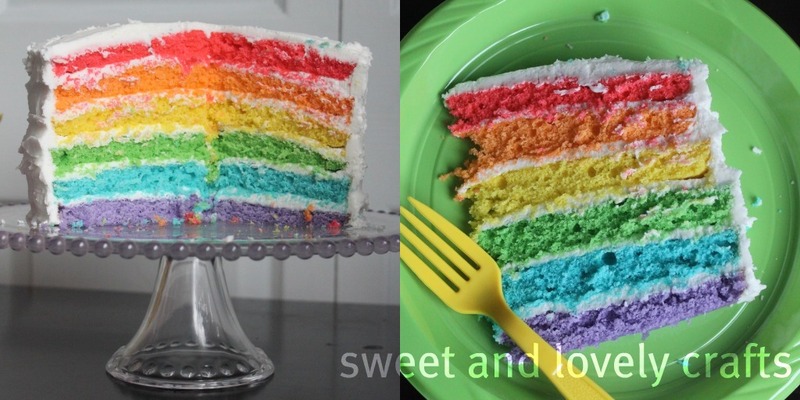 I LOVE the rainbow cake. 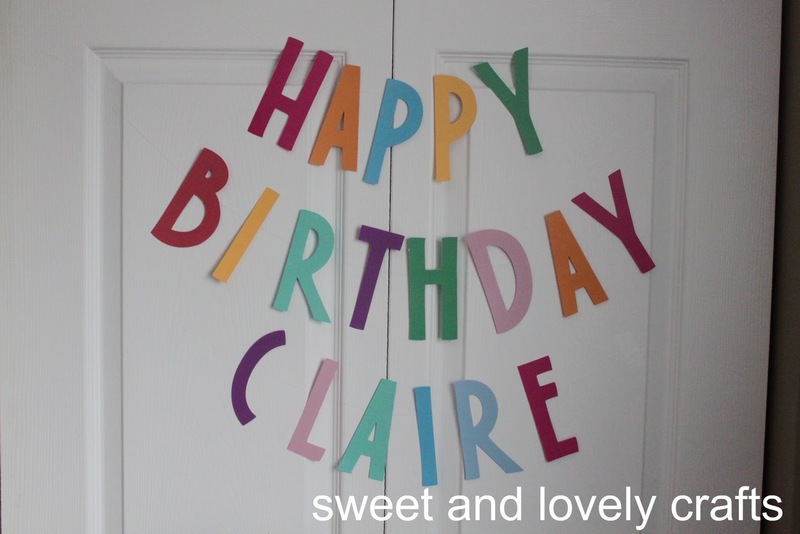 Claire is one lucky little girl! Your rainbow cake and that little t-shirt with the tie sewn on are just too much! Fantastic projects. I bet she loved the party!! What a sweet party! I think your cake turned out magnificently! I can never get mine even no matter how hard I try and yours looks perfect! 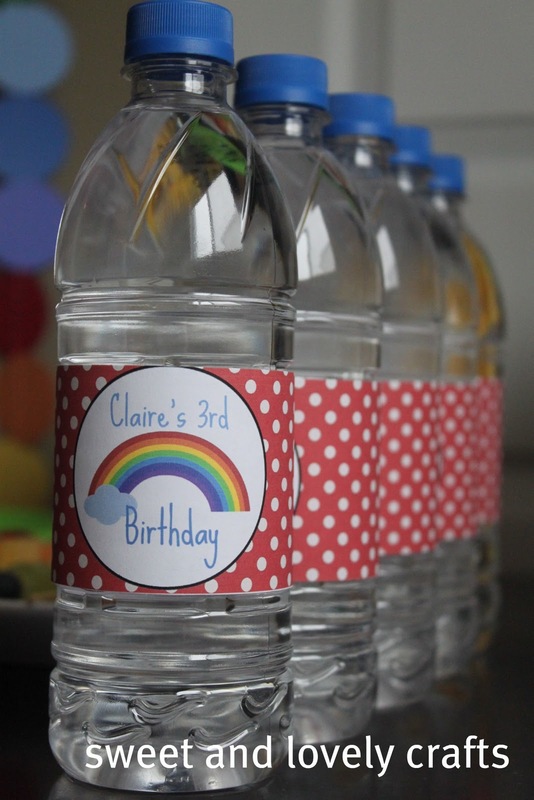 Wonderful party idea, and so very cute! what a beautiful and happy birthday party!! What a sweet birthday party idea! That cake is so fun! And your kids look like they are lovin' it! YES! I made the same cake for my daughters 10th birthday. Wasn't it fun? Great job on everything!! LOVE everything about this party. The little banners on the cake are just too cute. 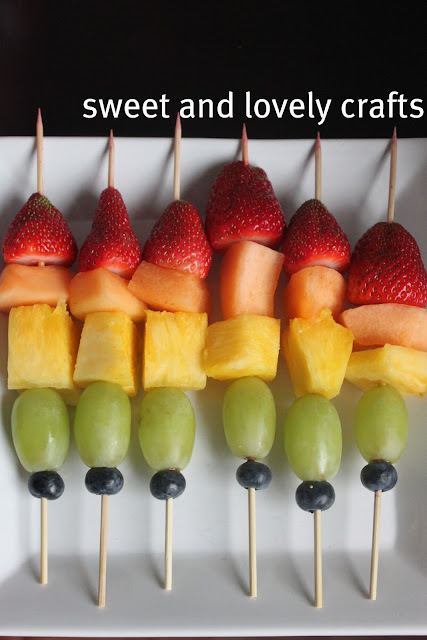 The rainbow fruit shiskabobs are yummy looking. And that fun tie on your little man's shirt is too adorable for words. Thanks for sharing! What an adorable party!!! Love all the decorations. Your sons t-shirt is very cute. Awesome!!! I featured you on my Toast of Tuesday! Feel free to come grab a button! 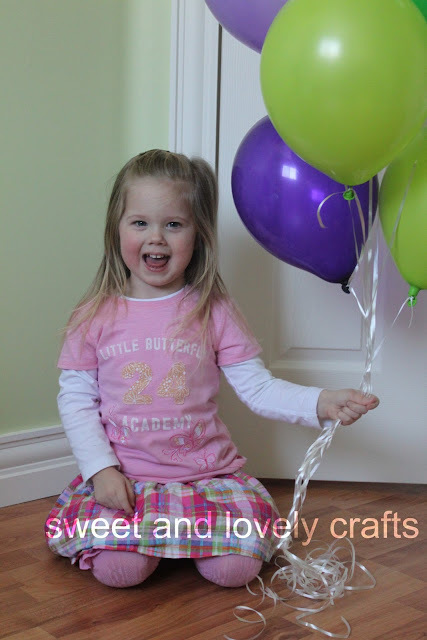 I'd love to have you link up some of your kiddy posts to my For the Kids Fridays Link Party. Stop on by!! 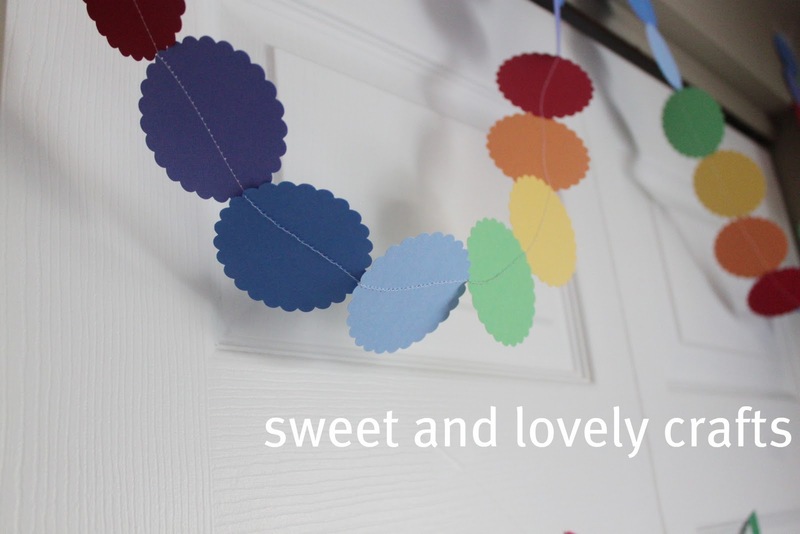 Have you shared where you got the rainbow cake recipe? I'd really like it for my kids' birthday party next month.